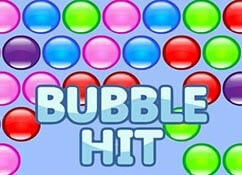 This is an artistic version of the game called bubble blobs. There are more then 50 levels to complete. 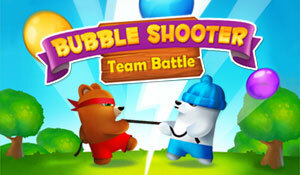 The gameplay is slightly different from original bubble games. 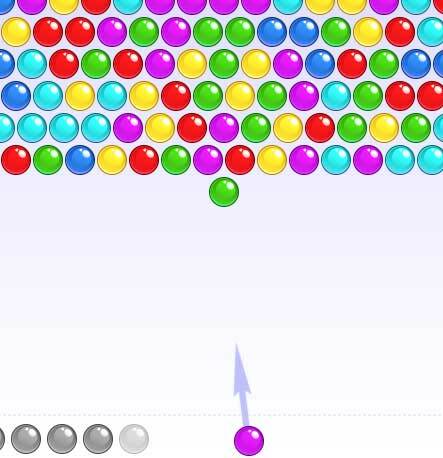 If you miss a bubble, the diagonal row will roll down. Each time you miss, so the field will go down fast. 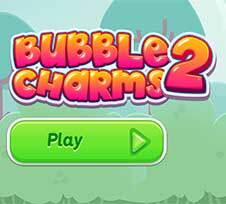 The first levels are very easy, making sure you understand the game. 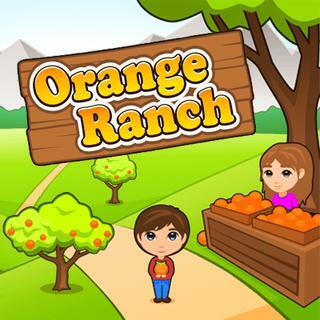 If you progress further the difficulty will be harder each level. 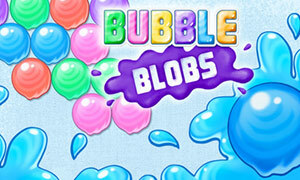 Bubble blobs features quite a nice graphics set and unique gameplay. 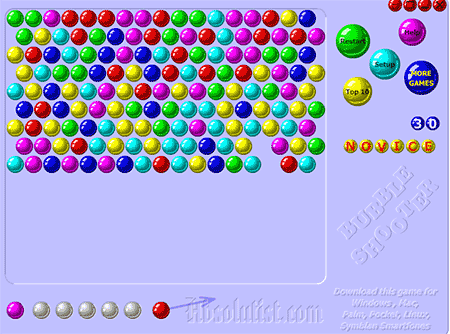 It kept us busy for hours. 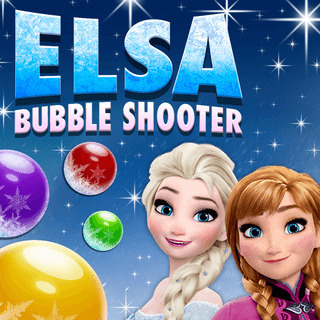 Make combos for extra points by clearing blobs of 3 and more, the more bubble blobs you clear in one shoot, the more points you will score. 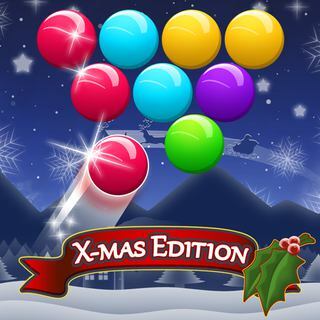 You can earn 3 stars in each level, which will be needed to unlock the higher levels. 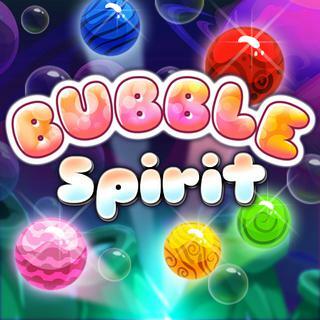 Collect all rewards and you have really finished the game and you can call yourself the bubble blobs master.